Get this amazing and creative tattoos design for Android and see how you will look with tattoos! When you install Tattoos maker you can try more tattoo designs. Without any pain, make tattoos design on your body using tattoo photo editor. Some tattoos symbolize religion. Some symbolize good luck while some symbolize uniqueness. Our tattoos maker has focus on love, religion, tribe, dragon, horoscope, skulls, quotes, etc. Tattoo photo editor for both boys and girls download free and select any tattoo stickers and try it on your photo and share the edited photo on Facebook, WhatsApp, etc. ★ Quick and easy to use. ★ Lots of tattoo design. ★ Edit easily Tattoo my photo. 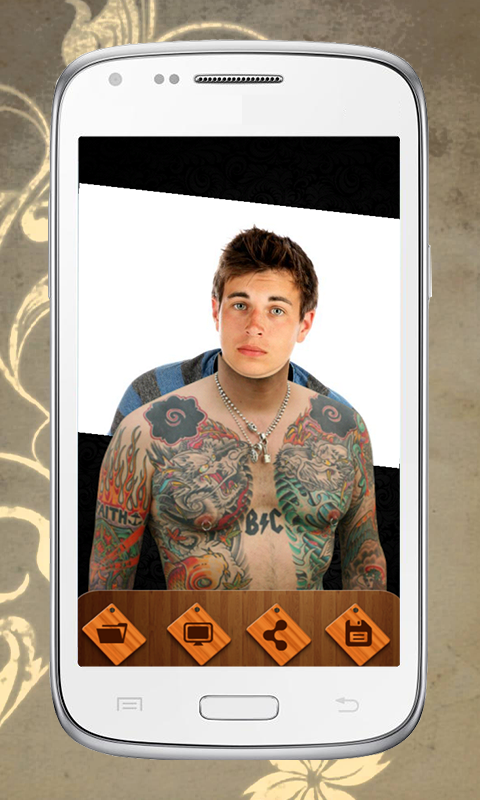 ★ Add your photo either through the camera or the gallery and try tattoo design. ★ Adjust your photo using zoom-in, zoom-out, crop, etc. ★ Apply amazing photo effects like Retro, Arizona, Sepia, etc. 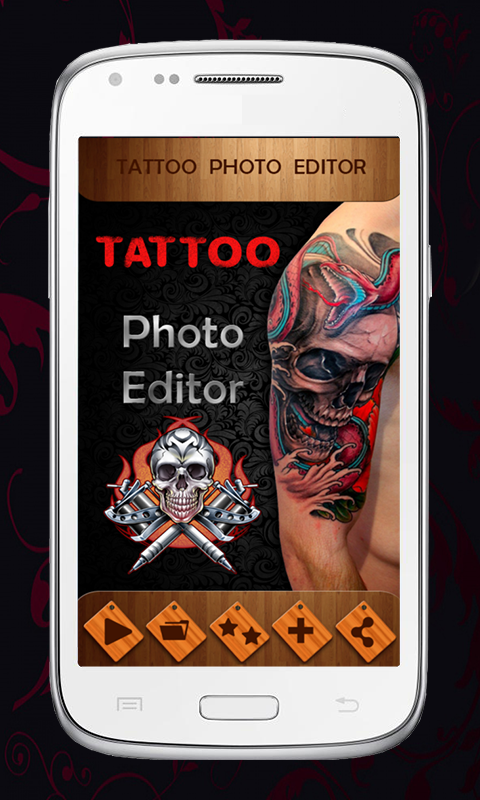 ★ After final touch, upload your edited photo on social networks using tattoo master. ★ Save your edited image on the SD card. ★ To entertain you with trendy tattoo designs. Download tattoo photo editor from Google play store and stay in touch with new trends.